Our hero is Peter Parker, a young teenager that lives with his Uncle Ben and Aunt May in Queens, just outside of New York City. Peter is just like any other high school kid; he loves science, has a crush on a girl in his class, and is occasionally picked on by the local bully. 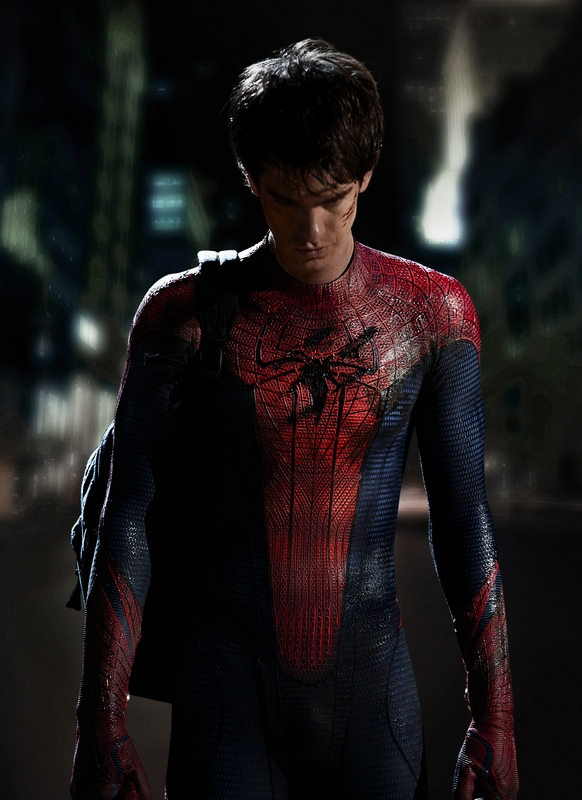 But Peter’s normal life is turned upside-down when he is bitten by a genetically enhanced spider, and he begins to transform into a super-powered, masked-vigilante: Spider-Man. Wait. This all sounds familiar. Haven’t we seen this one before? We have. It was about ten years ago that the original ‘Spider-Man’ was released. It starred Tobey Maguire and Kirsten Dunst, was directed by Sam Raimi, and, at the time, had the largest opening weekend box-office gross in movie history (slightly over $114 million). Everyone thought it to be a pretty good movie; no doubt a cookie-cutter summer blockbuster, but entertaining in every way. So, why re-boot the saga? Why should we again tell a story that has already been told? Well, it’s pretty simple. 1) The last film wasn’t well received by critics and audiences alike. 2) This movie tells a different side of Peter Parker’s story, an origin story that the filmmakers must have felt was vital to the character of Spider-Man. 3) This is the most important reason, the real reason: Spider-Man is not only a human web-slinger, he is also a costumed cash-cow that made ridiculous amounts of money for everyone who was smart enough to get in on it. Sony was looking to get every ounce of money out of this character that they could. In the end, though, it’s a win/win situation. Sony gets our money; we get another Spider-Man movie. It’s that simple. So enough of me whining about how it’s too soon to start making new Spider-Man movies (and it was way, way too soon). Let’s talk about this movie, trying our best to block out the ones that came before it. ‘The Amazing Spider-Man’ tells us the story of Peter Parker (played by Andrew Garfield) from another perspective. The film opens with Peter as a young boy, revealing to the audience the mysterious disappearance of Peter’s parents. It is this event that is the driving force behind our protagonist’s actions in the first half of the film. He wants to know what happened to his family, and more importantly, wants to find answers to who he really is. It is while on this search that Peter has his encounter with a tiny, mutated spider that bites him in a laboratory. We know what happens after this; Peter gets fantastic spider powers; strength, agility, incredible reflexes, and hyper-sensitive awareness (“spider-sense”). Oh, and he can also climb walls and do other amazing spider-things, like dunk a basketball and catch flies with his bare hands. Nerd-Out Time: But this movie does bring one new change to the powers of Spider-Man; his web-slinging ability is not a part of his biological makeup, but is developed with technology from Parker’s mind of science-fair tricks. The wrist mounted web-shooters, to me, is a good change. The webbing coming out of Parker’s skin in the previous films never made a whole lot of sense (how did he release the webbing from his body? Does anyone know how that even worked?). Plus, it makes him more human, more vulnerable, and therefore more relatable to the audience. Another thing that ‘The Amazing Spider-Man’ has going for it is the ever so lovely Emma Stone in the role of Gwen Stacy. Stone gives another solid performance as the girl next door who falls in love with the quirky Peter Parker. She is also my current Hollywood crush, so for me, the girl can do no wrong. Now that I’ve told you the basics of ‘The Amazing Spider-Man’, we are now at the point of my internal dilemma involving what to really think of this film. The real problem is this: I will concede and admit that this is actually the best Spider-Man movie to date. It is better than the original, and really that was the only one it really had to compete with. The performances are better, the story is better, the action is better, as well as the direction by Marc Webb (who also directed ‘(500) Days of Summer’). It’s a much cleaner, much smarter movie. BUT, I can’t simply abandon the first movies. When I was 11 years old, the first ‘Spider-Man’ came out, and when you are 11 years old, ‘Spider-Man’ was the best movie on the planet. I must have watched it 30 times, and that still wasn’t enough. So, I still shout at the top of my lungs “Too soon!” Regardless, here is the verdict. My Note: The best Spider-Man movie to date, but it was still about 5 years too soon for a re-boot of the saga.